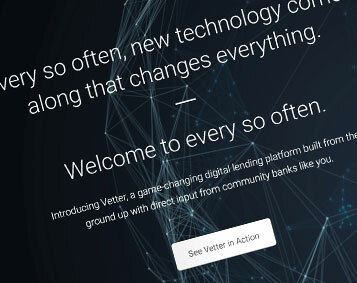 That line, created by Stackpole as the lead thought of its brand campaign, aptly sums up the arrival of Vetter on the digital lending scene. Never before has a solution so streamlined the loan origination process for banks who must now compete against a seemingly endless lineup of Fintech provider challenges. Vetter recognized Stackpole’s long and successful history in financial services and turned to us to help develop a branding that would clearly announce and differentiate both the product and the firm. We’re pretty pleased, as are the folks at Vetter, with how things turned out. We think you’ll enjoy reading the case study, which you can find here.